Saturday, 25 August 2018 - They say a picture is worth a thousand words but some are worth more like this viral photo. 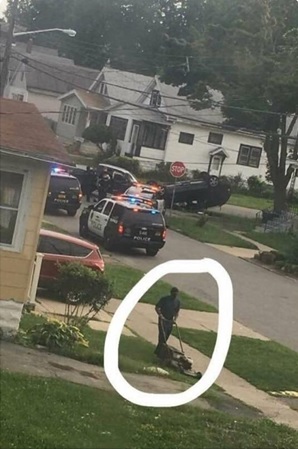 The photo captures a guy working on his lawn oblivious to what is happening just a few meters behind him. Not even the police sirens and chaos could distract him from his job. 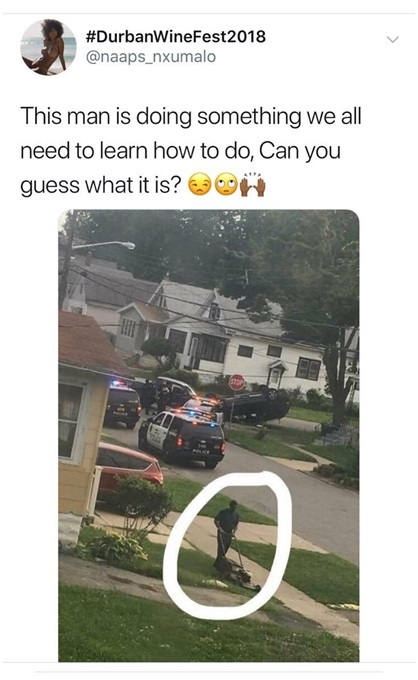 He’s teaching so many people what it means to mind one’s business.